You can be cooking on a Lang BBQ Smoker right away!! 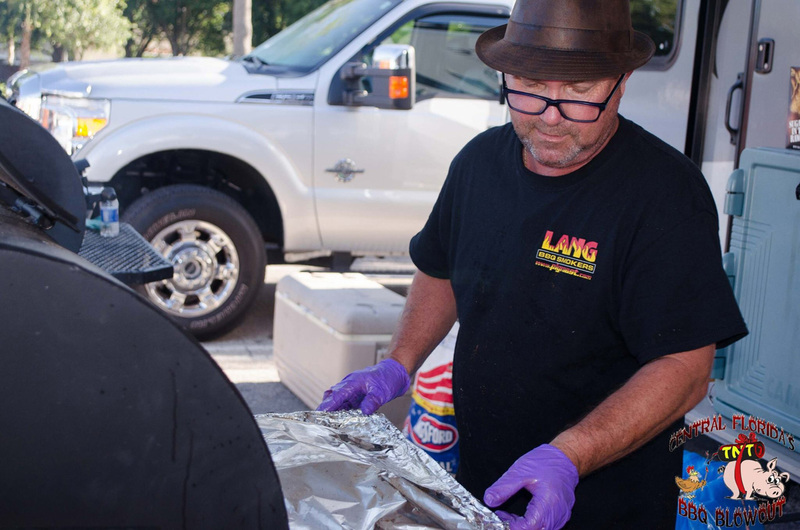 Lang BBQ Smokers® are the #1 BBQ smoker cookers because they use a revolutionary way of grilling, cooking and smoking meat, chicken and seafood to perfection. The Lang BBQ Smoker Cooker is the originator of the reverse- flow, off-set firebox design that, along with the heavy, 1/4-inch plate steel construction, allows for even, consistent sizzling and searing of the meat to goof-proof perfection. The Lang cookers are called "stick burners" because they burn wood on one side of the unit, in the firebox, to create heat circulating evenly around the meat in the main cooking compartment. This method of creating clean heat circulating around the meat sizzles off fat for a healthy, lean, delectable barbecue flavor. Barbecue enthusiasts can alter cooking methods to create more of a smoked flavor as tastes dictate. Lang BBQ Smokers are easy to keep clean so you can spend your time grilling, smoking and enjoying the most moist, succulent barbecue with your family. Call today to order a Lang and start making the best backyard barbecue memories with your family and friends! We are Factory Direct Only! WE DO NOT SELL THROUGH DEALERS OR SELLERS, WE DO NOT SELL THROUGH Amazon, AND WE DO NOT SELL THROUGH E-Bay. And have never. You cannot buy a genuine new or demo Lang BBQ Smoker® any other way, don’t be duped by thieves and liars. Report the fakes immediately to sites or social media; otherwise they are stealing from you and others. As we have been reporting the fakes as well. Buy ONLY FACTORY DIRECT from Ben Lang and his staff in Georgia, toll free -1 800 462-4629. Except No Substitutes or Imitations. Darryl Strickland and the Lang BBQ Competition Team. Darryl Strickland is a model of success when you go “by the book.” He has accomplished a great deal as a Lang Pit Master, Lang Q-School Instructor and award-winning competitor. We had the opportunity to visit Gentle Giant's Brewery and BBQ restaurant in Pearl River, NY. It was a great place to find BBQ like you get down south. Brisket and pork were exceptional Mat uses a Lang 84 as well as anyone. Many units and models in stock! Are you a new Lang BBQ Smokers® owner? Check out these beginner tips!